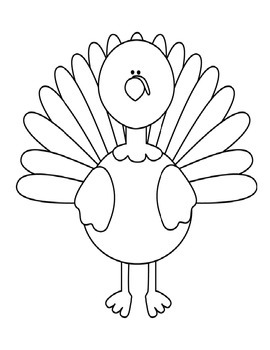 Help disguise Tom the Turkey! Tom is wanting to hide out until after Thanksgiving dinner. 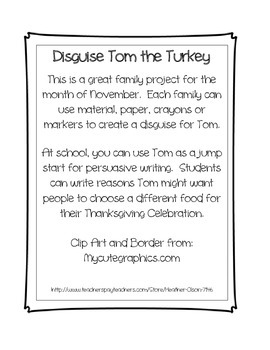 Students will work with their families to create a clever disguise for Tom. 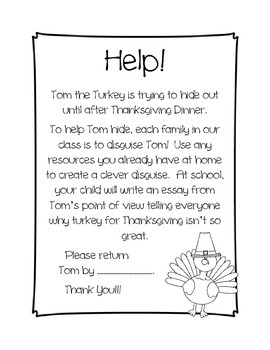 At school, students can write from Tom's point of view telling why eating turkey for Thanksgiving isn't so great! 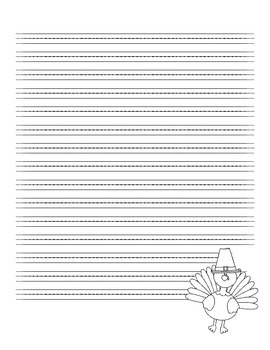 A wonderful project to complete in correlation to Eve Bunting's A Turkey for Thanksgiving.